'KINGSLAYER' part one! 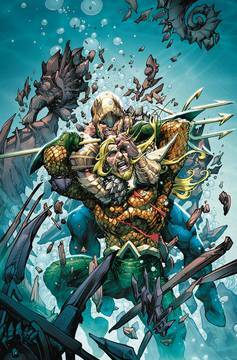 After King Rath discovers that Arthur is still alive, he sends Aquaman's former ally Murk to finish the job - or else be executed as a traitor! Meanwhile, Rath's new power has a terrifying cost…one that will change Atlantis forever! Plus, the events of DARK NIGHTS: METAL begin to take effect on the sunken city….